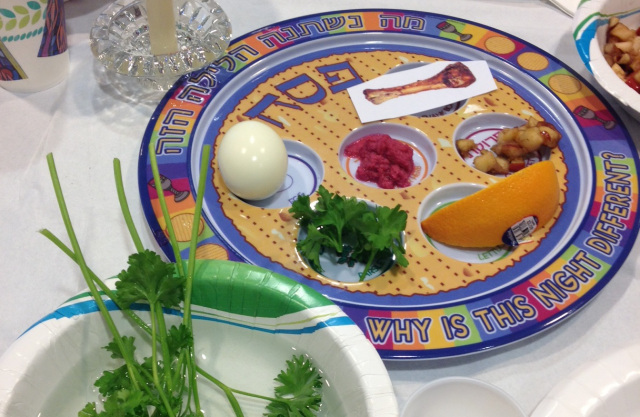 In the Passover Seder, we say “let all who are hungry, come and eat.” So I was excited when writer friend Whitney Pipkin approached me with a craving to try her first Pesach experience. She and her husband forked in the new information and traditional foods earlier this week, and Whitney wrote a colorful post about the evening. Very pleased to share it with you! As a journalism student at the University of Oklahoma, I was once assigned as homework what would become one of my favorite pastimes later in life: go participate in a cultural or religious ceremony that is outside your realm of experience. For the assignment, I attended my suite mate’s African American Southern Baptist church. It felt like an easy way out in some regards. But, having grown up in a comparatively stoic Presbyterian church in Kansas (although we did have a “contemporary” service), it proved to be a rich cultural experience. I was enthralled as the pastor sang half the sermon while nearly dancing down the center aisle, accompanied by a chorus of ‘Amen’s from those in attendance. It made my church look like nap time by comparison.